The surface of the moon is heavily indented with craters, which are believed to be formed by collisions from asteroids, comets and meteorites.These asteroids and meteorites that collide with the surface of the moon travel at an average speed of about 20 kilometers per second, creating large bowl-shaped holes on the surface known as impact craters. When a small meteor travelling at such high velocity hits the surface, the resulting crater will actually be 10 to 20 times more in diameter, compared to the colliding meteorite. The earth too has craters formed by collision from asteroids and meteorites but to a far less extent in comparison to the moon. This is because the earth has a thick atmosphere that protects it from possible asteroid collisions. The atmosphere of the earth is over 560 kilometers thick and as soon as the asteroid comes into contact with the atmosphere, the air molecules in front of it pack together, causing its temperature to rise rapidly to intense levels. These high temperatures of up to over 1,500o Celsius cause the meteorite to catch fire and combust. These can be observed as ‘shooting stars.’ Most meteorites disintegrate before they get a chance to reach the earth’s surface. The ones that do make it may be too small to cause any impact. The earth’s atmosphere acts as a cushion to protect the surface from meteor impacts. Besides, while the craters on the earth may come from sources such as rock fragments ejected from volcanic activities, the craters on the moon are almost entirely attributable to asteroid collisions. 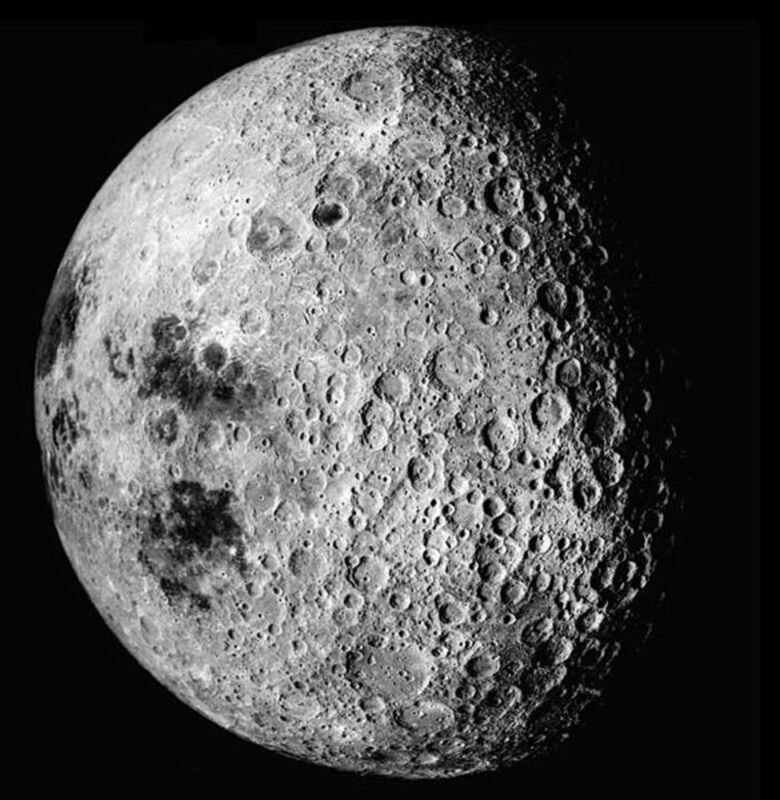 The far side of the moon is heavily pockmarked with impact craters. Another view of the far side or the back side of the moon. 1. The Moon does not have an atmosphere to shield its surface from meteorites, unlike the earth whose thick atmosphere burns up meteorites combusting them to nothingness before they reach the surface. 2. Unlike the earth, whose surface is constantly shifting and evolving due to plate tectonics, the surface of the moon is inactive. 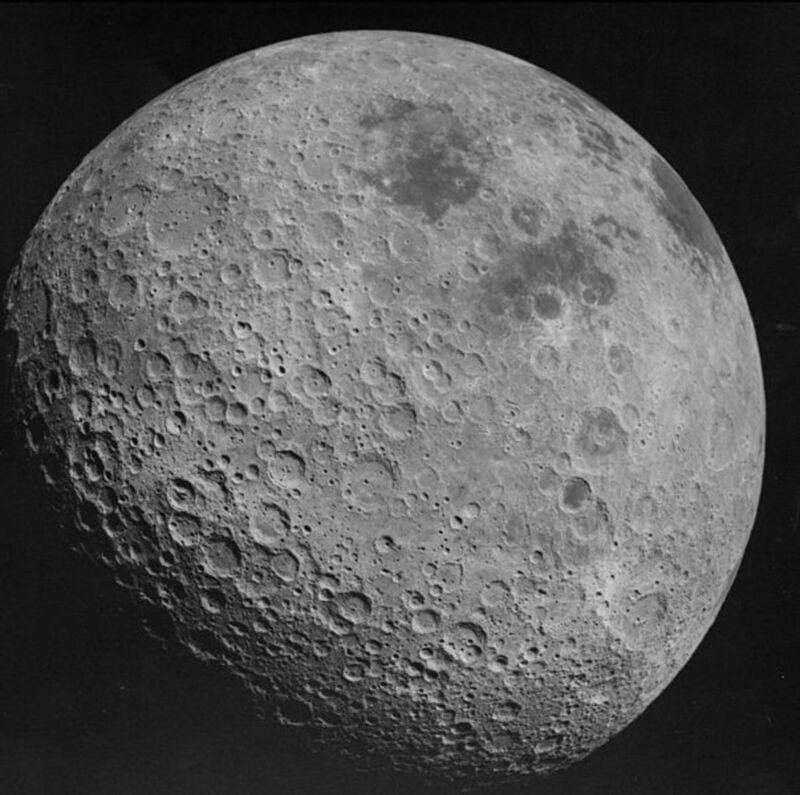 This means most of the impact craters that were on earth have been eroded away by the elements while the craters on the moon have been unaffected by such elements. But the moon has an atmosphere? For a long time now, the moon has been considered to be surrounded by a vacuum with no atmosphere. But recent studies show that the moon does have an atmosphere – albeit a very thin one, in comparison to the earth. 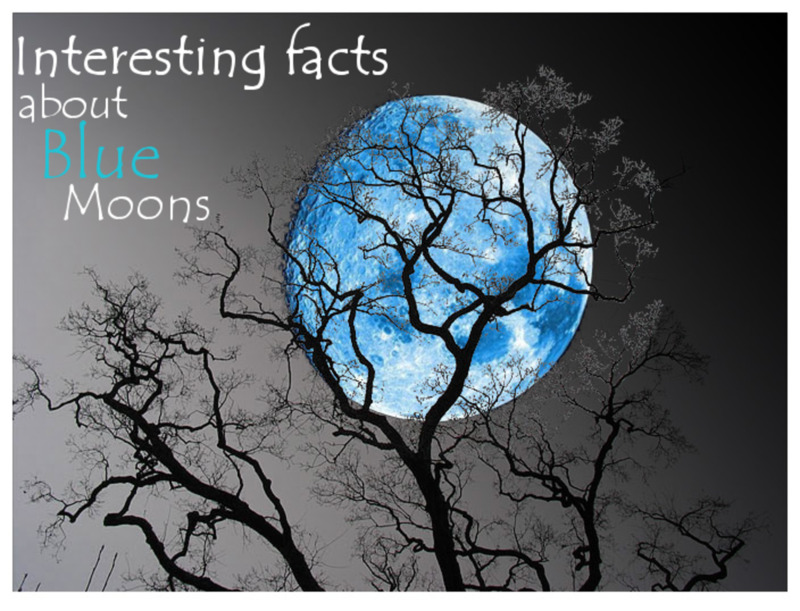 Most of the moon’s atmosphere is brought about by a phenomenon called outgassing. Outgassing is where gasses such as helium, radon and even water vapor are released from the moon’s mantle and crust. Even then, the moon’s fragile atmosphere is only 100 trillionth of earth’s atmosphere, a very thin band, detectable in certain places more than others. The moon’s tenuous atmosphere does not help shield it from asteroids, unlike the earth’s. 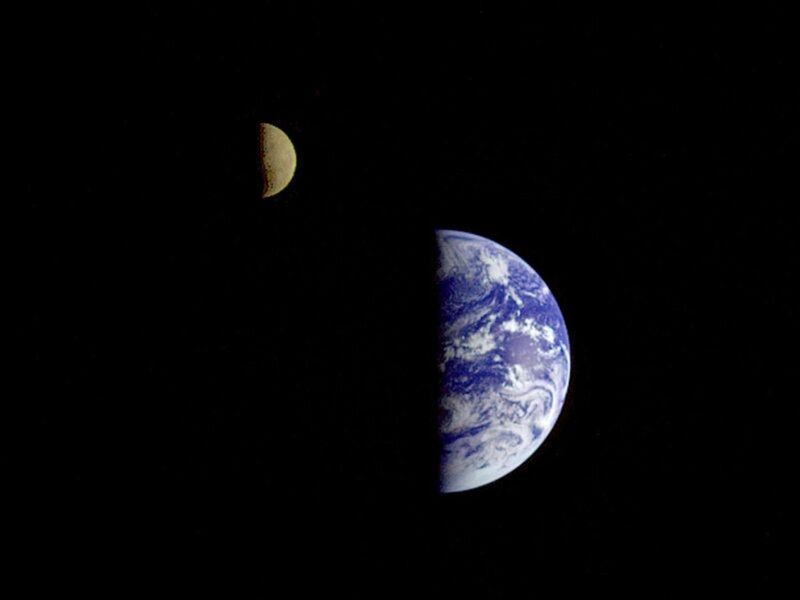 This picture of the Earth and Moon in a single frame was taken by the Galileo spacecraft from about 3.9 million miles away. Does the moon protect earth from asteroid collisions? Considering that the moon has a significantly smaller surface area compared to the earth, it would be an exaggeration to say that the moon protects earth from some asteroid collisions. In fact, Jupiter is considered to be ‘Earth’s Shield’ deflecting many calamitous asteroids that would otherwise bombard earth and cause large-scale extinctions, not unlike the sudden extermination of dinosaurs. Jupiter hurls arriving asteroid bodies away by the sheer force of its gravity. However new studies say that as much as the gas giant deflects asteroids, it also flings them into the solar system, making it a possible nuisance rather than a protector. Are asteroids still hitting the moon? Astronomers still haven’t found out the exact number of asteroids that hit the moon on a daily basis. However, a NASA study led by Bill Cooke, the head of NASA's Meteoroid Environment Office in Huntsville, AL noted that “every day more than a metric ton of meteorites hit the moon.” The numerous craters that we see on the moon now could be products of over billion years of collision activity. 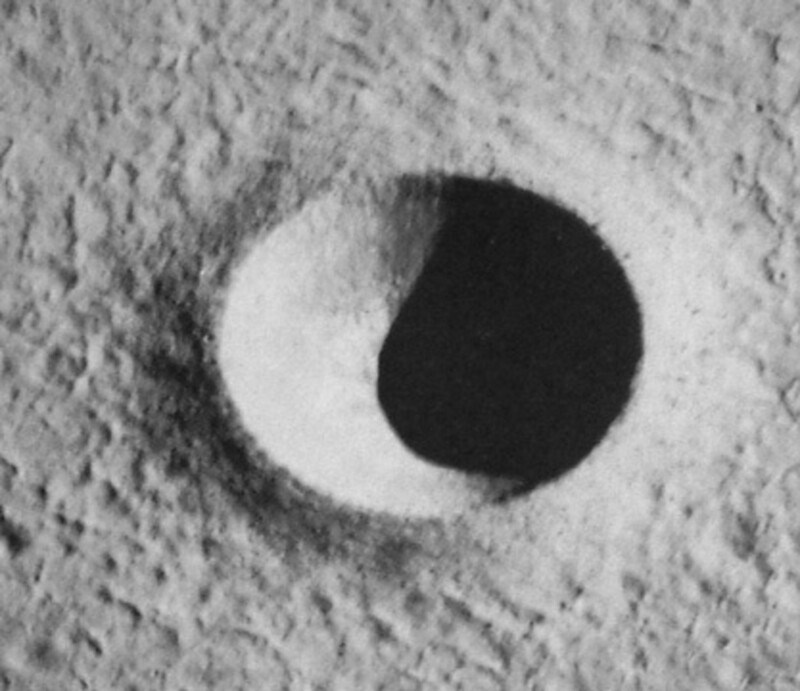 A simple lunar crater; circular and bowl-shaped. How deep are the lunar craters? Surprisingly, majority of the lunar craters are much shallower than you’d think. The only known exception is South Pole Atkins Basin whose dimensions measure 2000 kilometers by width and 13 kilometers by depth. Why are the craters on the moon so shallow? Featured in this picture are Messier and Messier A. Note that these are not circular like impact craters. 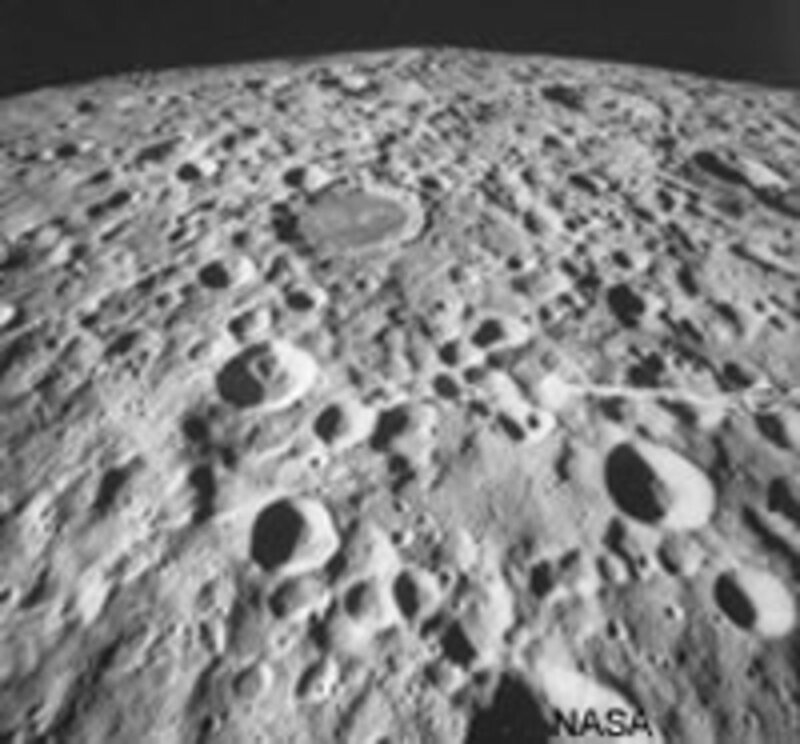 Most of the craters on the moon are simple bowl-shaped and circular craters that have a diameter of less than 15 kilometers. But some craters on the moon do not have a circular shape. Featured in the picture to the right are two craters in the Mare Fecunditatis region of the moon which are not circular. The shape of the craters Messier and Messier A is puzzling and scientists have yet to find out the exact reason for their shape. How old are some of the craters on the moon? The oldest craters on the moon have been measured to be around 2 billion years old. Astoundingly, the oldest rocks sampled from the moon’s outer crust have been found to be over 5 billion years old yet the oldest impact crater is only 2 billion years old. This leaves a good 3 billion years of the ancient moon just laying there without any impact from asteroids. Yet, while the solar planetary system was still developing, it was a harsh environment with maniac asteroids whizzing around in frenzy ready to strike any surface whose gravity could alter its course. 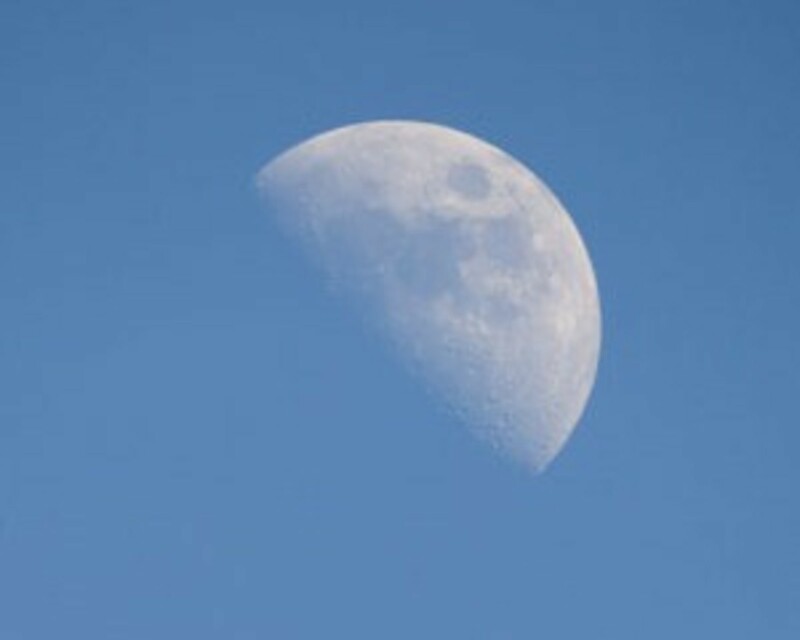 It is important to note that although NASA has technology to accurately estimate the age of the moon, no clear estimate is given, with numerous other reports stating the moon to be older than the earth. Some reports say the moon is over 20 billion years old yet the earth is only 4.6 billion years old. These claims are subject to dispute, but if all falsehood is based on truth, is there an element of truth in saying the moon is older than the earth? The moon, earth’s closest companion for as long as we can remember, is wrapped in enigma. There is more to the moon than meets the eye. How many secrets does the moon hold? Is the moon really older than the earth and the sun? Is it really a foreign addition to the solar system? If so, who placed it there? Funny how every asteroid hits the moon at the same angle producing perfectly round craters??? 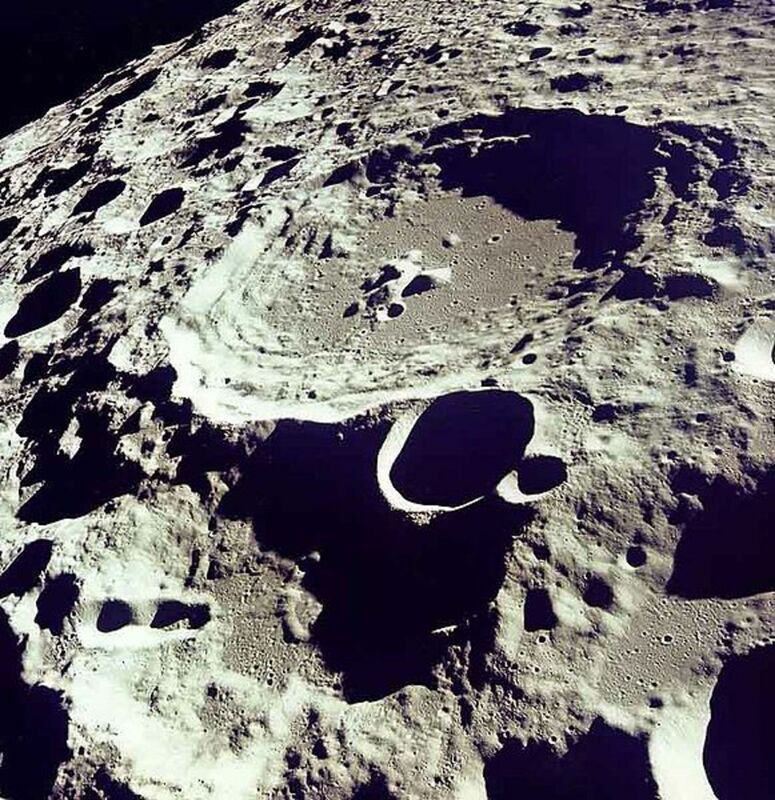 Great article on the moon and its craters. There's so much to learn about this natural satellite of Earth. Soon there will be plants grown on the moon. China wants to grow potatoes on the moon's soil, I wonder what the outcome will be like. Lovely hub, Rehana. So very interesting to know and read about moon craters. Great hub Rehana , everything put up in neat layman terms. Great Work. I really enjoyed this HUB. I just visited the Museum of Science & Industry in Chicago and this was an awesome "catch up". @ E – Yeah, I wrote this article back in 1920 before I was taught that “the moon was created when a planet named Theia crashed into Earth billions of years ago, causing the crust of the earth to be ejected into space blah blah blah” What utter hogwash! Lol! The fact that the moon is older than Earth has been scientifically verified and documented, go ahead and check out NASA’s own data about it. ‘‘…the moon is made up of the same material as the earth’s outer crust.’’ You say that with so much conviction I bet you still won’t be convinced even after being shown proof that the moon is indeed older than the Earth! This article doesn’t need an update. Seems to me you’re the one who needs an update. Feel free to stop blinding following what the T.V tells you and think outside the box for once. Going to the moom is a great adventure that perhaps we will all be able to take one day. Perhaps you need to get an update as NASA discovered in the 70's that much of the Moon mantle taken from rocks retrieved from the Apollo missions are far older than the Earth some three times as old, this is a fact! 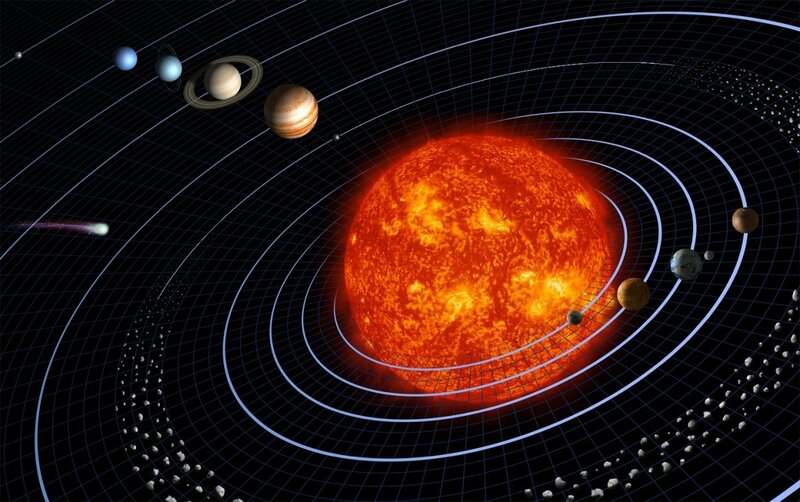 According to many scientist NO planet in our Universe has a Moon that is a QUARTER of the size of the planet it orbits and no Moon has a fixed orbit as ours does nor do they always point only one side to the planet they orbit. Someone has been lying to you or the conditioning is working! Baa, Baa! This article should definitely be updated. It has been known since the late 60s and early 70s that the moon is made up of the same material as Earth's outer crust. This is because the moon was created when a planet named Theia crashed into Earth billions of years ago, causing the crust of the earth to be ejected into space, where it formed a ring around Earth and eventually accreted into the moon. This also solves the question of whether the moon is older than Earth. It is not. This is not just a hypothesis. This origin story has been verified by several fields of early-Earth study. Hi Rebecca! Thanks for reading and commenting! The moon really is very interesting, some of its mysteries enveloped by enigma. The moon is interesting because it is our closest heavenly body. You did a great job teaching a lesson on the moon. Great hub, I'm really enjoying all the write-ups about our moon lately. @ Leny Waltz - Thank you for your compliments! I'm glad the hub was easy to understand. @ The Finance Hub - Hi there, thanks for taking the time to read and comment! Thank you for the vote up as well :) I'll be sure to visit your hubs too! Awesome, easy to read and easy to understand. Hmmm...Never really thought about this one. Great hub, very "interesting" and I can tell you took the time to make this hub look awesome! Voted Up hope that you will enjoy my hubs as well! Awesome article, really well done. Enjoyable to read very straight forward.